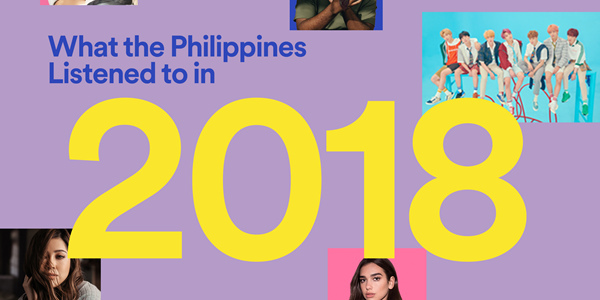 It's just a few days before 2018 comes to a close but Filipinos being massive audiophiles have streamed countless hours of favorite songs, artists, playlists and podcasts. And Spotify has all the stats to prove! Globally, Drake hit 8.2 billion streams in 2018 with his album "Scorpion," making him not only Spotify’s most-streamed artist of the year but he’s also the platform’s most-streamed artist of all time. Following Drake, Post Malone, XXXTentacion, J Balvin and 2017’s most-streamed artist Ed Sheeran rounded out the Top 5 list of Most Streamed Artists in the world. Ariana Grande’s 48 million plus monthly listeners made her the most-streamed female artist when she dropped major hits throughout the year, including her fourth album, “Sweetener” and her latest single “thank u, next” with over 220 million streams. Make sure you visit Spotify Wrapped on December 6 to see your personal favorites and top-streamed tracks and receive a playlist based on all the songs you listened to this year.